What a geat footbal game last friday. We finished the orders just before 4pm, so we could watch the game with fear and trembling. Happily we made it and go to the semifinal. In this edition we have a few new coins, but also beautiful trackable earrings and a necklace. You can follow updates of our shop on Twitter: @geocachingshop. The Hopi are a Native American People who primery live in het northeastern of Arizona. Kokopellie is a fertility deity, usually depicted as a humpbacked flute player. Among the Hopi, Kokopelli carries unborn children on his back and distributes them to women (for this reason, young girls often fear him). The back of the coin pictures the famous "Delicate Arch" of Moab. The coindesign is multi-level with starts and petroglyph's recessed below the surface of the transparant imitation hard enamel colors. De pocketdecoder is designed as a "functional" geocoin, that can be used to create of solve mystery caches. To turn the wheel, you can rotate the inner disk and decode every puzzle. De Pocket Decoder is 55mm in diameter and 70mm high (excluding the top-ring),14mm thick and weighs 120gram. The case is antique bronze with a black enamel or antique silver with a red enamel. De Pocket Decoder comes in a red valour pouch. Beautiful necklace or earrings, which can be worn as everyday jewelry, not just on Geocaching Events! The Geo - Jewelry - Necklaces is made of bronze, nickel-free in gold color finish. The diameter if the free-form Geosymbol is 29mm. On the Geo-symbol the unique trackingnumber is engraved. The necklace or earrings are packad in a black valour pouch. This unique coin consists of two coins that fit together. The outside coin is 51mm in diameter. The inner coin is 38mmen and is attached permanently onto a stud which allows it to rotate. The coin has a shiny gold finish with deep purple or green hard enamel color. "It's a Geocacher's World" Geocoin captures the global presence of he sport of Geocaching. The colors are earthe tones. On the front of the coin you can see a globe positioned on a compass. The satelite in orbit and the Geo symbol on the earth proudly proclaim "It's a Geocacher's World". The back of the coin has the trackingcode and the Geosymbol with concentric circles of matching colors from the front of the coin. Size of the coin is 51mm in diameter, 3mm thick. You can find these new Geocoins and trackable on our website. Decrypt hints where ever you go with this ROT13 decoder key ring! 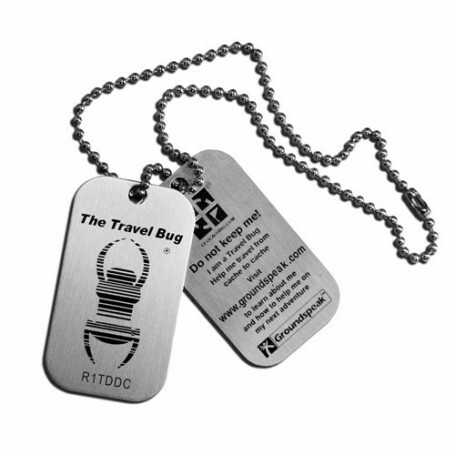 Attach this to your geo-pack or your key chain for fellow geocachers to 'discover' you at events or on the trail. The decryption key is simple to use as each of the letters are rotated 13 characters up or down in the alphabet. The letter above equals the letter below. On October 23rd we will be at the het Snert event. Do you have questions, please send an email to: info@geocachingshop.nl. You are receiving this newsletter because you have selected this option while creating and account in our shop or have subscribed at our newsletter. 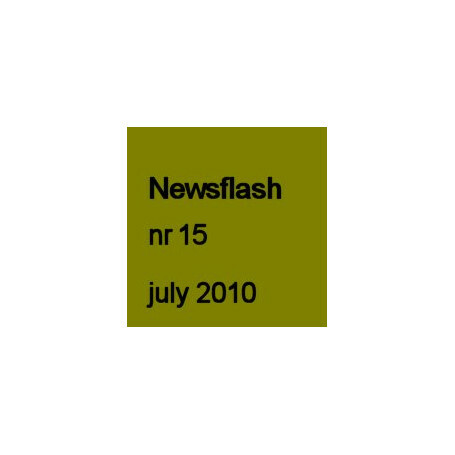 To unsubscribe, write an empty email to nieuwsbrief@geocachingshop.nl with subject unsubscribe.